I had a repeat guest from Texas who requested a sightseeing tour in Tokyo. She was with her daughter this time, and it was my first time meeting her. 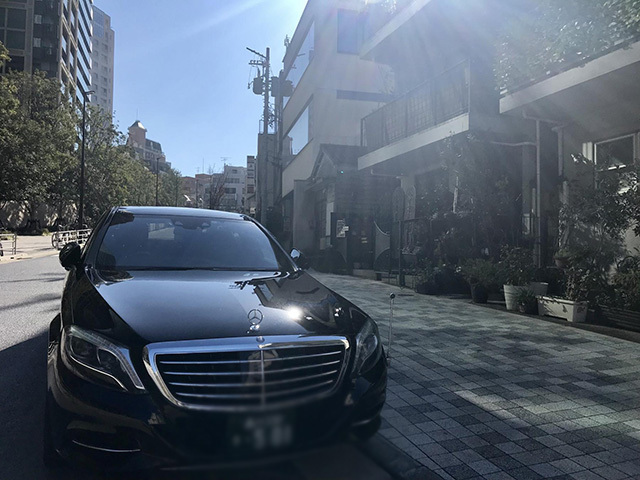 I picked up my guests from a bullet train platform and guided to the car. My guests loved our Mercedes. When they hopped in the car, they said with an excited voice, “Wow, the seat moves! And there’s an in-car TV, too! What’s this model called?” Seeing my guests enjoying the ride made me happy. 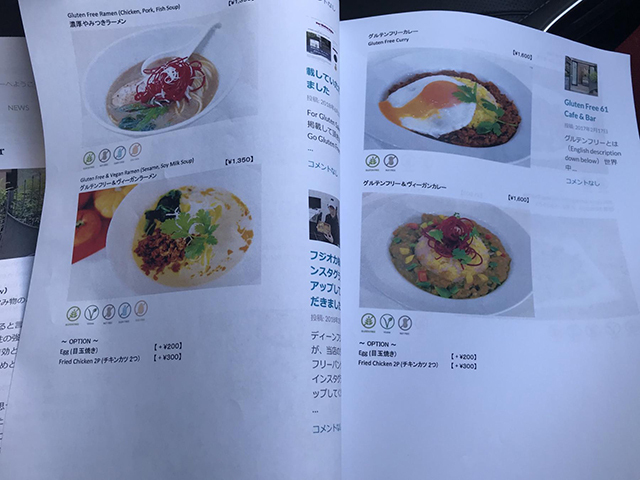 In the car, I handed my guests the lunch menu I had printed out in advance, so that they could take a look during the ride. The daughter was very surprised that they had ramen, dumplings, and okonomiyaki, all gluten-free. Originally the plan was to visit an art museum, however I decided to take them out to lunch instead. My guests had breakfast at 7 am, so the first thing they wanted to do, before anything else on the tour, was eat. After a short trip, we made it to the restaurant for lunch. 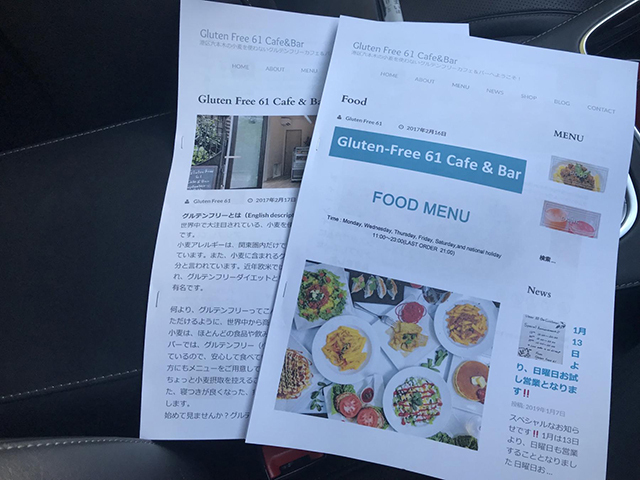 As I had been informed that the daughter was on a gluten-free diet by their travel agency, so I planned to take them out to a café in Roppongi, owned by an expert of both celiac disease and the gluten-free diet. Their service was great and their menu was available in English as well. They were able to try a wide variety of dishes, all gluten-free. After my guests finished having lunch, their faces were warm with happiness and satisfaction. They were stuffed! Next, we headed to the ceramic art museum called “Musee Tomo” and the Harajuku area of Tokyo. It was the daughter’s request to visit Harajuku, and they went shopping there for more than an hour. The tour was about to be over. The mother seemed a little tired, so we decided to leave for Tokyo station, their final destination. While at the station, I explained which platform to depart from and how to catch the right train. When it was time for me to leave, the mother said, “Thank you for everything today!” The daughter followed, “I love Tokyo, I’ll come back again!” I thanked both of them for the day with tight handshakes, hoping to see them again. Outech accepts Visa, MasterCard, American Express, Diners and PayPal. ACCEPT CREDIT CARDS; Outech accepts Visa, MasterCard, American Express, Diners and PayPal.